If you are on the hunt for a VEGAN protein bar that is simply delicious, with chunks of cacao and coconut-> flavoring chocolate peanut butter, YOU'VE FOUND IT! This Chocolate Peanut Butter Vegan Protein Bar is gluten free, plant based, non-GMO, contains health fiber, bcaas (great for recovery) while every single ingredient in the bar is beneficial. This bar has 16g of protein!! 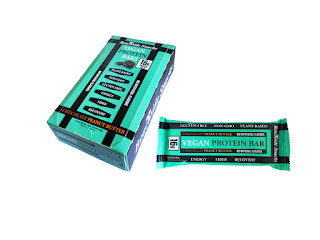 This protein bar is often used as a meal replacement as it is 62g and very filling/satisfying! I challenge you to find a healthier & better tasting protein bar! Click here to send you straight to the web page with more information on these bars. 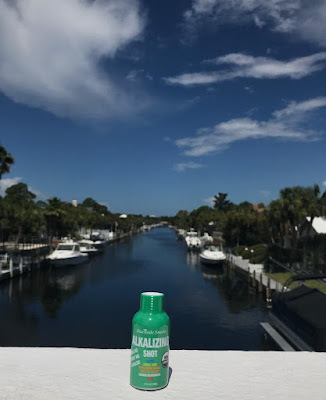 Okay, if you're into an alkaline diet or alkalizing in any form, THESE SHOTS ARE GOING TO BE THE NEW LOVE OF YOUR LIFE!!! They are made with the highest grade, organic ingredients and taste amazing. If you can take Apple Cider Vinegar shots, you'll get these down like a pro! Make sure to come back and let me know what you guys think! !